Stop reading this headline and go buy Team Fortress 2 for less than it costs to get your morning cup of Starbucks coffee. 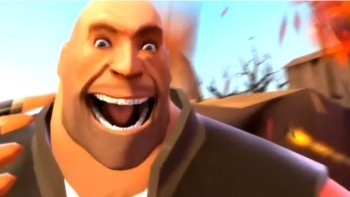 No time to do a real writeup - TF2 is on sale for $2.49 until 2PM Pacific ... which is in about 40 minutes from now. So in case you're one of the thirty people left on the planet with access to the Internet who doesn't have one of the best multiplayer FPS in recent memory, change that. This is part of the game's "Terrifying Team Fortress 2 Haunted Hallowe'en Special" update, and you can get the skinny here and here. But there's time to do that later - go, go!